Kurikyu Bentwood is known for high-quality bentwood products emblematic of the city of Odate in Akita Prefecture. The company is run by Shunji Kurimori, the sixth generation proprietor, who has received many awards for his craft and exhibited his works overseas. This Kurikyu noodle cup is a combination of Japanese traditional craft and contemporary design. One slice of very thin Japanese cedar is bent to give the cup its unique shape. The beautiful grain of the wood layers is clearly visible and emphasizes the stylish design. 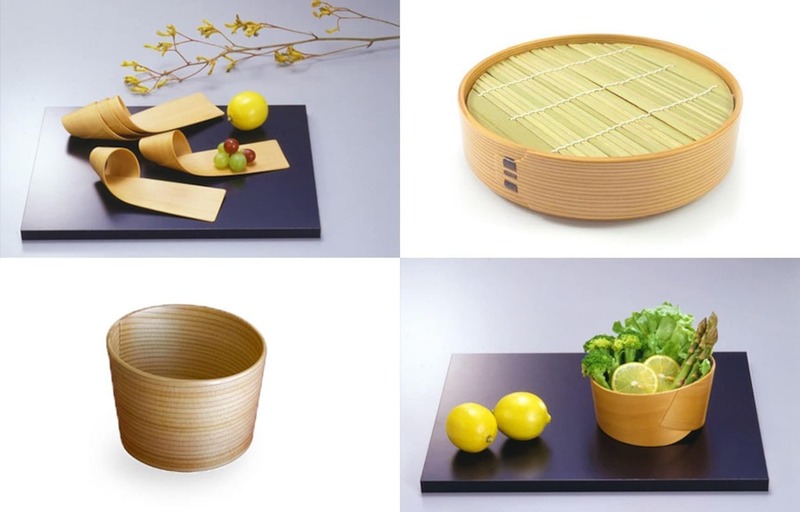 This Kurikyu tray for soba noodles is what you need to enjoy cold Japanese noodles, or zaru-soba, just as you might in a high-class soba restaurant. It's made of a single sheet of Japanese cedar bentwood, and the two ends have been fixed with solid and beautiful dark cherry bark. The upper part is made of bamboo strips bound together to serve as a sieve for the moist noodles. The Kurikyu Bentwood salad bowl is a combination of Japanese traditional craft with contemporary design, and even received the Good Design Award. 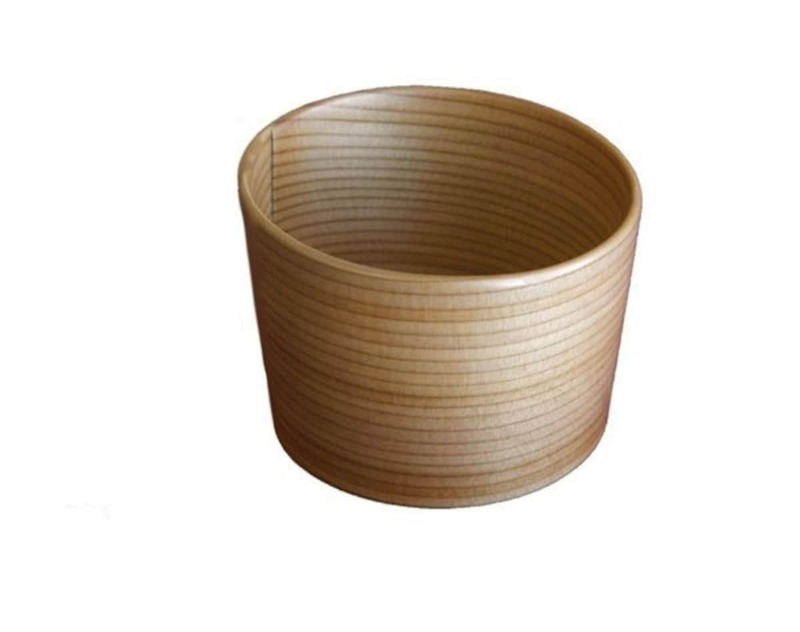 As with the soba cup, multiple slices of very thin Japanese cedar are bent to give this salad bowl its unique shape, with the visible grain emphasizing its stylish yet simple form. The outer part is coated in order to protect the wood, while the inner part in uncoated and naturally water repelling, giving off a pleasant woody scent. The bowl should be washed with cold or lukewarm water after use, with oil removed with a mild detergent and a soft sponge. It should be dried with a soft cloth. This bowl is not suitable for the dishwasher! Each deco plate is made of a single sheet of bentwood, or magewappa, to create a unique design embracing the Japanese principle of simplicity. They're made using traditional Japanese bentwood techniques but look very modern, adding atmosphere to any table arrangement. These deco plates are perfect for serving an hors d'oeuvre or even a dessert. The plates fit into each other and require very little space for storage. Due to its beautiful and very practical design, this plate also received the Good Design Award.